Come on a magical tour with Katie and discover London's most famous sights! When Katie and her brother Jack visit London with Grandma, something very unexpected happens . . . One of the Trafalgar Square lions comes to life and takes them on a wonderful tour of all the best sights! Including Buckingham Palace, the Tower of London, Big Ben and the London Eye. 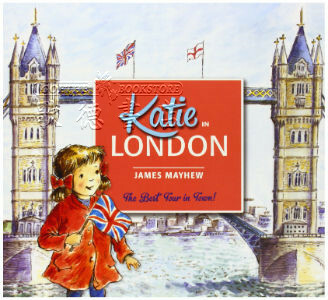 Featuring many of London's key landmarks, this storybook has become a bestselling introduction to London, and is perfect for children visiting the city for the first time.